Celeb Gossip News – Scarlett Moffatt news: Star set to leave Saturday Night Takeaway for huge career move? 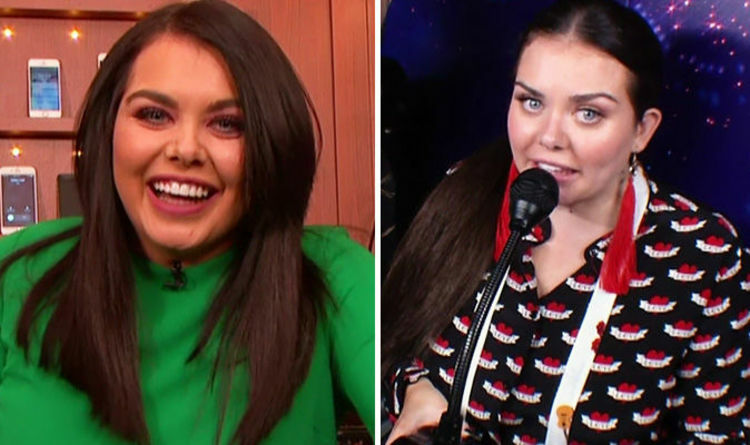 Scarlett Moffatt news: Star set to leave Saturday Night Takeaway for huge career move? The former Gogglebox star is currently in the United States to host Saturday Night Takeaway alongside Declan Donnelly during the series finale. The show, which will be Dec’s second solo presenting gig without TV partner Ant McPartlin, will be broadcast live from Walt Disney World on Saturday. And it seems Scarlett is really enjoying her time across the pond as she revealed she wants to work there. But Scarlett isn’t confident that she will win over audiences with her “sarcastic” personality and her Geordie accent. Thinking about ways she could carve out a successful career in the United States she said: “There’s always elocution lessons! Just start talking posh all of a sudden. However, it seems she isn’t going anywhere yet as Scarlett, who first appeared alongside Ant and Dec on Saturday Night Takeaway last year, admitted she still gets “goosebumps” on the show. But the stunner did reveal she is more nervous being a part of the ITV programme this time round, which will be broadcast live from Florida. It hasn’t been all work and no play for the TV favourite as she has been documenting her time in the sun-drenched location with her boyfriend Lee Wilkinson, who has joined her ahead of the big finale. Yesterday, the Scarlett posted a clip to her Instagram account where she revealed she was indulging in some scrumptious treats. The 27-year-old also uploaded a sweet image of herself posing with her hunky boyfriend Lee at The Wizarding World of Harry Potter. Scarlett beamed to the camera alongside her beau who wore a pink vest and grey shorts for the sight-seeing trip. While the I’m A Celebrity… Get Me Out of Here! winner opted to wear a printed dress which featured a daring low-cut neckline for her day exploring Universal Studios. This weekend’s episode of Saturday Night Takeway will see Dec, 42, present alone again after Ant McPartlin decided to seek treatment following his charge with drink-driving last month. The presenter had pulled out of his upcoming TV commitments and asked for time off for the “foreseeable future” after being arrested at the scene of a car accident. Saturday Night Takeaway’s series finale airs Saturday on ITV at 7pm.